I am honored to be chosen as a fellow with the Black Earth Institute, a progressive think tank of artists and scholars dedicated to serving environmental and social justice through their art. The three-year fellowship will provide a stipend to support my work, as well as an opportunity to meet with the others fellows for an annual retreat in Black Earth, Wisconsin. Fellows also take turns editing the institute’s journal, About Place. “When Francis met us at the train station in Labrador City, he had already been driving all night. 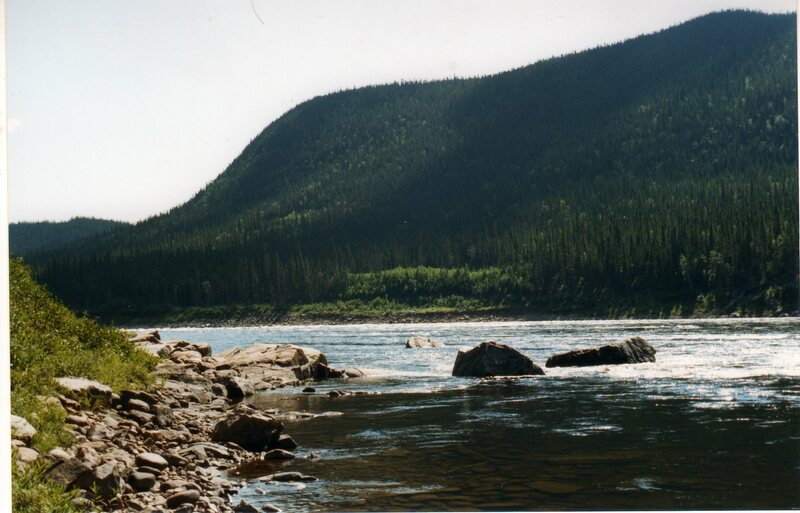 The Trans-Labrador highway is a tire-shredding gravel track that cuts across the otherwise roadless province, connecting the iron ore mines of western Labrador to the Churchill Falls hydroelectric complex, and further east to Goose Bay on the Atlantic coast…” –Two Gorges: A River Journey, About Place, Political landscapes Issue. 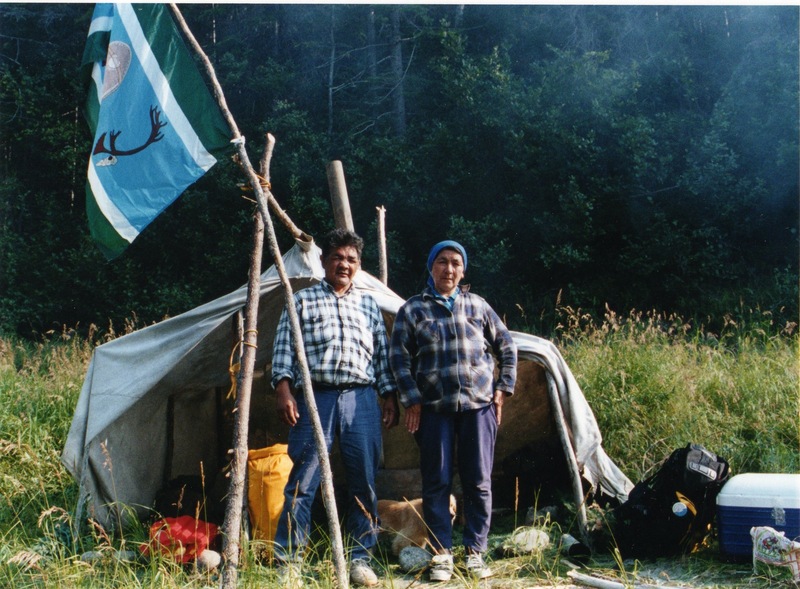 Elizabeth and Francis Penashuae leading our expedition down the Lower Churchill River to Muskrat Falls, August, 1998. 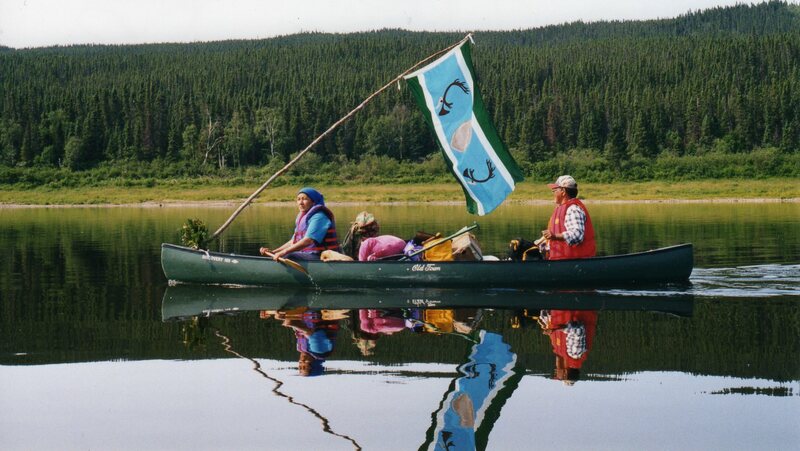 In 1998, following the announcement of a proposal to build the second largest dam complex in the world on Innu land –Nitassinan–in Labrador, I joined a group of Innu leaders to paddle 200 miles of the river, from Churchill Falls to Muskrat Falls. After two decades of protests, the $11 billion dollar hydroelectric project at Muskrat Falls is under construction. Muskrat Falls. Photo: Sara Sterling. Elizabeth and Francis Penashuae lead trips down the river every summer until 2012, when construction began on the dam at Muskrat Falls. Francis lining our canoes over Gull Island rapids. Lunch break at Lake Winikapau. 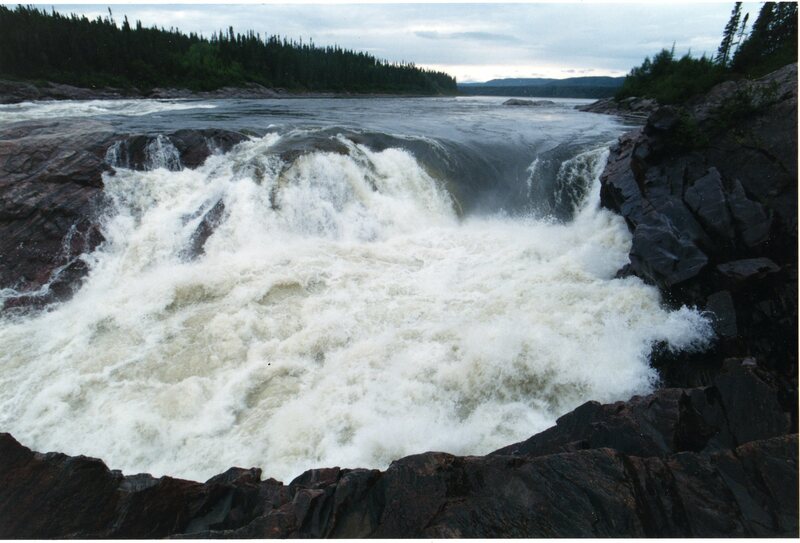 The Grand Falls of Labrador. Photo: Andy Brown, National Geographic. 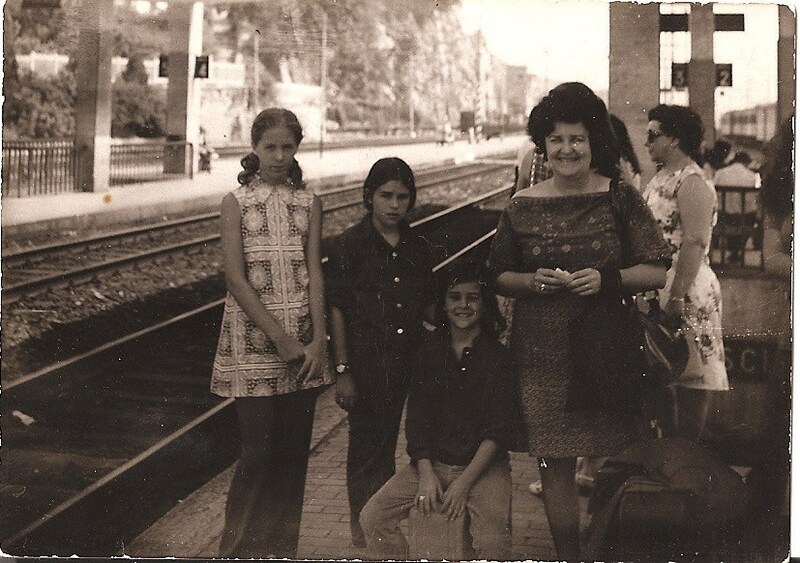 Thais Lathem with her three daughters, left to right, Fre, Alexis (me), and Laurie, in Italy, circa 1970. –My Multimedia Mother: Recollections from a Counter-Cultural Childhood, Gettysburg Review, Winter 2017. 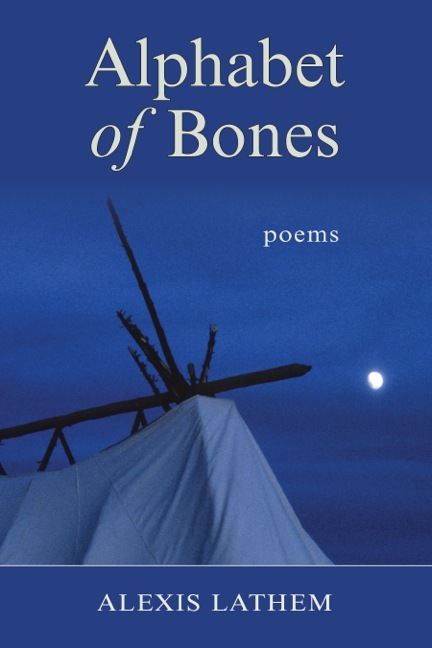 Alexis Lathem’s Alphabet of Bones has been a long time coming. I know as much from following her work since its early and already striking examples. The wait was entirely worth it. Ever conscious of extinction and threats of extinction, human and natural, Lathem nonetheless gives us hope by way of her lyric clarity, her stunning eye for detail, and her moral persuasiveness. Even in her quietly apocalyptic central poem, “Book of the Sixth,” to my mind the volume’s tour de force– even– or perhaps or especially– there, we think, This is what human sensibility remains capable of at its finest! –Sydney Lea, Poet Laureate of Vermont, author of I Was Thinking of Beauty, A North Country Life: Tales of Woodsmen, Waters and Wildlife, Pursuit of a Wound, a finalist for the Pulitzer Prize for poetry, and To the Bone: New and Selected Poems, co-winner of the 1998 Poets’ Prize. Alexis Lathem’s poems are steeped in patient observations and a deep comprehension of the grace and tragedy of human life, of the mysteries of the natural world, and our fragile place within it. Perhaps most of all these poems are shaped by an understanding of the power of language — its music as much as its meaning. Alphabet of Bones is a grave, beautiful accomplishment. —Jane Brox, author of Brilliant: The Evolution of Artificial Light, named one of the top ten nonfiction books of 2010 by Time magazine; Five Thousand Days Like This One, a 1999 finalist for the National Book Critics Circle Award in nonfiction; and Here and Nowhere Else, winner of the L.L. Winship/PEN New England Award. Wind Ridge Books & Voices of Vermonters invite you to a launch gala. Wind Ridge Books and Voices of Vermonters Publishing Group will launch two provocative new books of poetry during the upcoming Burlington Book Festival. Pushcart Prize-winner Daniel Lusk will read from his new collection The Vermeer Suite, poems inspired by the beloved masterworks of 17th century Dutch painter Johannes Vermeer, and Alexis Lathem will read from Alphabet of Bones. Coming to bookstores this fall.